The enormous need for all types of infrastructure in developing countries and the shrinking role of traditional funding sources provides a compelling rational for continued growth. When the world’s largest sovereign wealth fund – the Norwegian government’s global pension fund, or GPFG – is advised to expand its investment scope, governments and industries around the world take note. 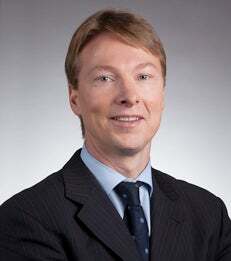 An extensive report prepared under the leadership of NYU Stern Professor Stijn Van Nieuwerburgh that reviews strategy, goals and methods for GPFG’s continued growth – and suggests ways to diversify Norway’s oil revenue that will yield long-term benefits for the common good – holds promise for major infrastructure projects in emerging markets. In “A review of real estate and infrastructure investments by the Norwegian Government Pension Fund (GPFG),” the authors recommend that the GPFG expand its portfolio – its stock, bond and real estate objectives were defined by Norway’s parliament when it was established in 1990 – to include infrastructure investments, including those that finance clean energy. With 3 percent of the fund currently invested in real estate, the authors generally affirm the fund’s strategy and caution against increasing the overall 5 percent cap on real estate holdings, while also recommending keeping an acquisitive eye on potential real estate investments in the developing world. Dagens Næringsliv: Warns Green "Disaster"